Offering custom built solutions and concepts for your product handling. Tailor made to suit. No obligation conveyor design to reduce your costs. Time will be taken to assess all your requirements and offer you the best possible result all of this will be done at a time convenient to you. Contact. However if your system is a little more complex for instants need to be diverted or elevated to other machinery, go round bends, hot or cold application, wet or dry products, reject systems you then need to consider many factors and this is where our conveyor design expertise comes into play. With over 25 years of experience you can be sure we can find the perfect solution for your product handling. We offer a free service where one of our sales consultant visit your site to advice on the best way forward. Taking the time to analyze your processes and design a system within your budget. C-Trak have been manufacturing, fabricating and designing systems for over 34 years and our product are high quality, guaranteed to do the job they are designed for. Then read on we are here to help as much as we can and will go out of our way to do all we can to accommodate your needs. We have an extensive product range for you to choose from. Manufactured in Mild Steel or Stainless Steel dependant on application and products. Designs for hot or cold products, wet or dry conditions, large or small products. We have a variety of belts, slat, plastic modular belt, roller and pallet conveyors let us find the right one for your product handling. 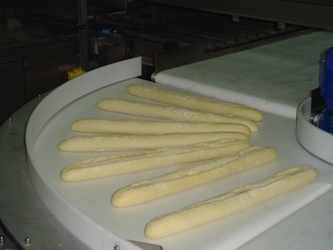 We aim to give you the best possible lead time for your conveyors. This is achieved as we have full control of the manufacture as we fabricate in our own factory with the latest machinery. 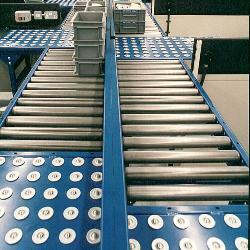 All of our conveyors are built to a very high standard. 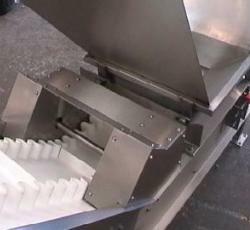 Also offering a full guarantee with our conveyors. We welcome all our prospective customers to visit our shop floor to see the quality and craftsmanship first hand. We don't just stop once we take an order we will project manage your conveyor and keep you up to date with its progress, working with you every step of the way. If you have any questions at a later date once your conveyor has been installed we are only a phone call away. We are committed to serve and have been commended on our after sales service. All of our sales engineers and design staff are highly experienced. Conveyor Trak have been fabricating, designing and installing conveyors for many years and know our products well.